About: APEX Block™ is a revolutionary energy saving building product that provides protection against flood, fire, high winds, earthquakes and infestation. Unlike other Insulated Concrete Forms (ICFs), APEX Block™ fits together in a Keystone Interlocking System™ and eliminates the time and cost of expensive bracing and connection methods. By simplifying the construction process one is able to Build Smart, Build Faster and Build Greener. 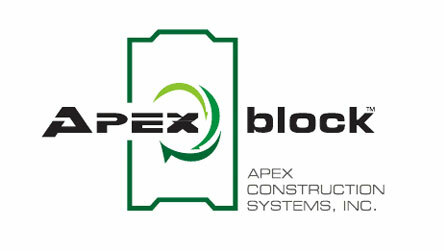 APEX Block™ can be utilized in consumer DIY projects, rehabilitation construction, residential construction and commercial construction.